By Keith Cowing on November 30, 2016 4:32 PM. By Keith Cowing on November 30, 2016 12:33 PM. "What is certain, [Bob] Walker says, is that Trump's "space policy doesn't contemplate any real increases in NASA's spending. ", It will likely have to accomplish all that it is being asked to do now and in the future without significant boosts to its bottom line, and with the distinct possibility of deep budget cuts. And that, more than anything else, could be very bad news for the space agency and its programs." By Keith Cowing on November 30, 2016 12:31 PM. "Senate and House negotiators reportedly are close to agreement on a final version of a FY2017 NASA authorization act. Senate floor action on a draft compromise bill could come as early as tomorrow. A draft of a revised version of the bill reportedly reflecting compromise with the House is now circulating and rumors are that the Senate may take it up as early as tomorrow. SpacePolicyOnline.com obtained a copy of the new draft. A quick glance suggests that it is similar to what cleared the Senate committee, while incorporating elements of H.R, 810 and H.R. 2039 plus new provisions. These are a few highlights of the 114-page draft." By Keith Cowing on November 29, 2016 11:26 PM. 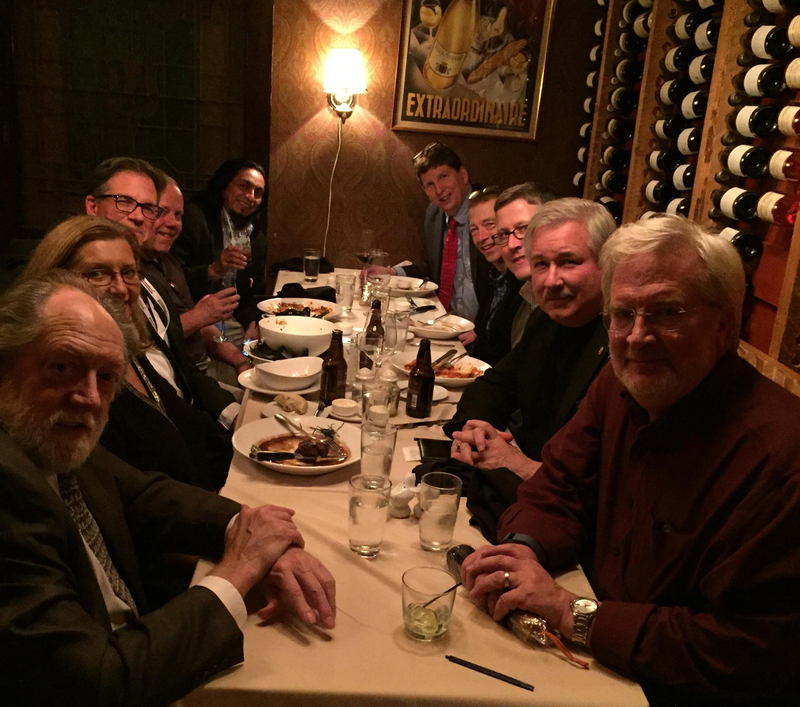 Keith's note: Explore Mars had a "leadership dinner" in Washington, DC tonight. This is a group photo (larger image) posted on Facebook. Here we go again. Another space group has a meeting. Guess who shows up: One female, nine males (mostly older white guys). This is not remotely representative of who will - should - explore Mars. The folks at Explore Mars mean well. But this event is representative of a much more pervasive issue in the space advocate community - lack of diversity. Until the usual suspects in the space advocate leadership clique get the message that they need to be far more representative of the taxpayers/citizenry who will pay for their party their impact will be minimal - at best. More choir practice in an echo chamber. Keith's update: I am told by a participant in this event that this was a "[this was a] random group based on availability. [The] president of the organization is a woman and two of the Board of Advisers are women (and another one pending), none of whom were present." That said, the gender and age imbalance is still unrepresentative of the real world and will continue to be so - until the space crowd gets the message that they need to reflect the reality of the world around them - not the one they imagine inside their heads. By Keith Cowing on November 29, 2016 3:26 PM. Keith's note: Chris Shank is policy director for the House Science, Space, and Technology Committee and Deputy Chief of Staff for Committee chair Lamar Smith. 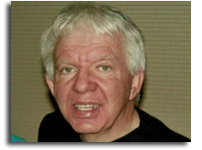 Prior to that he worked at NASA as part of Mike Griffin's so-called "Band of Brothers" as Director of Strategic Investments and Chief of Strategic Communications. It would not necessarily be incorrect to look at what the House Science Committee has been doing over the past few years (Pro-Constellation, Pro-SLS, Anti-ARM, lukewarm on commercial space, preference for going back to the Moon, Earth science skepticism, subpoenas to NOAA and EPA over climate and environmental issues) to get an understanding of Shank's possible stance on space issues. That said, Chris certainly understands space. Also, Mark Albrecht, once thought by many to be part of NASA's transition team, is listed as one of the Department of Defense Landing Team members. By Keith Cowing on November 28, 2016 9:57 PM. "You will also be subject to many rumors. Information is power in D.C. Any tidbit of information, no matter how trivial, is worth something to the consultants, lobbyists, journalists, bloggers, and self-appointed social media space policy mavens who are constantly trying to demonstrate their inside knowledge. And many people with an interest in the issues within your portfolio are not beyond greatly exaggerating their level of access. I've lived and worked in the nation's capital for 40 years and can attest to the hypocrisy that has always been a growth industry within the Beltway. But I have to say that in the wake of this election, I have never seen anything like the hypocrisy among the political class. The very people who disdained Donald Trump on the Monday before the election were currying for political favor within 24 hours of Hillary Clinton's concession phone call. By now, I am sure you have discovered many "friends" you never knew existed the day before the election." By Keith Cowing on November 28, 2016 8:34 PM. "Russia is developing a mega-rocket that will transport supplies to build a base on the moon, the country's Deputy Prime Minister has revealed. President Vladimir Putin wants work to begin on the new 'super-heavy' rocket which will 'pave the way' for a lunar research station. It will enable the construction of a Russian base that will be both 'visitable and inhabitable', according to Deputy Prime Minister Dmitry Rogozin. ... In 2029, a new spacecraft named Federation will fly to the moon's orbit, he added. 'In the 2030s, we set the task of a manned flight to the moon and in 2031 we plan landing on the moon,' Mr Solntsev told TASS. Russia is inviting Esa and Nasa to jointly develop a module for landing on the moon, Mr Solntsev said." Is Trump Going To Gut NASA Earth Science? Who Knows. By Keith Cowing on November 28, 2016 4:39 PM. "NASA should be focused primarily on deep space activities rather than Earth-centric work that is better handled by other agencies." "Bob Walker, a senior Trump campaign adviser, said there was no need for Nasa to do what he has previously described as "politically correct environmental monitoring". "We see Nasa in an exploration role, in deep space research," Walker told the Guardian. "Earth-centric science is better placed at other agencies where it is their prime mission. "My guess is that it would be difficult to stop all ongoing Nasa programs but future programs should definitely be placed with other agencies. I believe that climate research is necessary but it has been heavily politicized, which has undermined a lot of the work that researchers have been doing. Mr Trump's decisions will be based upon solid science, not politicized science." "At one point, Clinton said, "Donald Trump says climate change is a hoax invented by the Chinese." Did he? Yes, though he later said it was a joke. The original source of this claim was a tweet Trump sent on Nov. 6, 2012, as we noted in a January 2016 fact-check of a similar claim by Clinton's Democratic opponent, Bernie Sanders." "President-elect Donald Trump conceded Tuesday there is "some connectivity" between human activity and climate change and wavered on whether he would pull the United States out of international accords aimed at combating the phenomenon, which scientists overwhelmingly agree is caused by human activity." Keith's note: Last week a number of articles appeared with the startling (at least to the authors) news that President Trump was going to cut all of NASA's Earth science programs. The authors based this arm waving on quotes in the Guardian by on-again/off-again/on-again Trump transition team advisor Bob Walker. This is not the first time Walker has said something like this. Back in the middle of October, in a Space News op ed, Walker made similar comments. Other than these two comments by Walker we have little else to go on except some off-handed, indecisive quotes from Trump himself on climate change. So - will Trump gut NASA space science? We only have some hints from someone who may or may not actual know what Trump is going to do. If Trump does take a run at NASA's Earth science programs he'll have allies such as Sen. Ted Cruz and House Science Committee Chair Lamar Smith who have been going after climate-based research funding for years. Then again, Trump may find himself consumed by far more pressing issues. We won't know until a Trump space policy emerges and a Trump team is installed on the 9th floor at NASA Headquarters. By Keith Cowing on November 27, 2016 6:40 PM. Keith's note: This rather shameless Dava. Really. You are required to submit your formal resignation no later than 7 December. Your desk needs to be empty by 20 January. Yet you are on a victory lap to Antarctica at taxpayer expense - and bragging about it. Why? Will you even have enough time to write up a trip report before you head back to MIT? Enjoy the perks - while they last. By Keith Cowing on November 25, 2016 6:38 PM. "Company officials GAO interviewed identified potential uses for "space support vehicles"- which include a variety of aircraft from high-performance jets to balloons and the aircraft portion of a hybrid launch systems (a vehicle that contains elements of both an aircraft and a rocket-powered launch vehicle) - but the size of the market for these uses is unclear. Company officials said they plan to use space support vehicles to train spaceflight participants and to conduct research in reduced gravity environments. For example, some company officials said they would like to use high-performance jets to train future spaceflight participants by exposing them to physiological and psychological effects encountered in spaceflight. Other company officials said they would like to use space support vehicles to research how objects or people react in reduced gravity environments. It is difficult to know the size of the market for spaceflight training and research as GAO found no studies on these markets. However, stakeholders said they expect interest in research to increase." By Keith Cowing on November 23, 2016 12:01 PM. "During a subcommittee meeting of NASA's Advisory Committee earlier this month, former space shuttle program manager Wayne Hale asked Paloski why the space agency wasn't considering missions longer than a year to truly reflect the time astronauts would have to spend away from Earth were they to go to Mars or other destinations beyond cislunar orbit. "It seems to me that you're not there yet in determining the health factors for a 30-month voyage," Hale said. In a follow-up interview, the Human Research Program's chief scientist, John Charles, explained to Ars that from a logistic and scientific standpoint, the one-year missions offered a reasonable compromise. The station probably has seven years left in its lifetime, and because of advanced planning requirements, there would be the capability to fly, at most, just a single two- or three-year mission during that time. Not only would this adversely affect crew rotations, there's also the question of statistical significance from just two data points. "Darn it, we biologists like to have statistical validity," Charles explained. "We have discussed it internally and really think we're going to be pushing our luck to get five more one-year missions during the station's lifetime, to get a statistically significant database." Keith's note: I love it when NASA talks about science and statistics. Gee, no one at JSC complained when they flew one, single, elderly person (John Glenn) for "science" - once i.e. N=1 and they have not repeated that experiment in the following 20 years. Has anyone seen the data? As a former NASA space biologist who used to run peer reviews of this sort of research, I totally understand the need for larger research specimen numbers. But when you take all of the informed consent regulations and risk models that NASA uses into account, sending humans to Mars on a multi-year mission, without any actual experience flying humans in space for that long would be unethical - again, according to NASA's own established procedures. 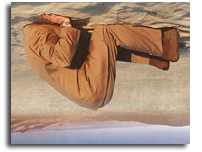 But if NASA decided to look to other exploration modalities such as mountaineering and polar research - and officially accepted different ways of parsing - and then allowing crew members to personally accept medical risk in exchange for the chance to explore, maybe they could save themselves a lot of time and effort. NASA can't have it both ways. They ask for the money to build all of this incredibly capable stuff in space then they are afraid to use it for the very purposes that it was supposedly built. I spent a month living at 17,600 feet at Everest Base Camp while my friend, astronaut Scott Parazynski (who was also John Glenn's orbital doctor) risked his life to reach the summit. He trained as much as he could but in the end he was going to do something he had not done before. In the end it was his choice. He signed waivers in order to do this. While I was much safer at Base Camp, I was still at heightened physical risk to due to my age and my prolonged presence at that altitude. But I signed waivers too. I watched two immense avalanches a few thousand feet from my tent. One of them killed a person whose tent was near mine. Years later an avalanche killed people in the precise location where Scott and I pitched our tents for a month. You can prepare all you want for stuff like this but at some point you just have to sign off on the risk and go for it. NASA cannot seem to decide whether it truly wants to accept the risk inherent in the human exploration of other worlds - or just study it incessantly. Until it does we'll all be stuck with half-hearted, semi-relevant research on the ISS. And then the ISS will be gone. 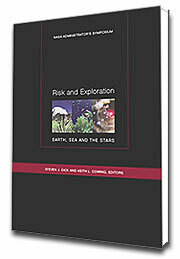 Here's a book from an event John Grunsfeld and I put together back in 2004 on this topic for NASA: "Risk and Exploration". Its not as if people at NASA have not talked about risk. Rather its whether they really want to make the same tough choices that other explorers do. By Keith Cowing on November 23, 2016 11:04 AM. "To help reduce the amount of supplies Orion will carry for its crew, scientists are developing a variety of food bars that astronauts can eat for breakfast during their spaceflight missions. In the United States, it's common for people to substitute an energy bar or shake for breakfast, or to skip the meal all together. Food scientists determined that developing a single calorically dense breakfast substitution can help meet mass reduction requirements." Keith's note: Why is NASA spending money on a big fancy kitchen to produce something that I can buy at REI? 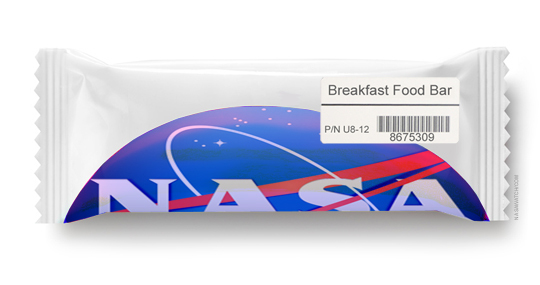 Why doesn't NASA do Space Act Agreements with companies to figure all of this out - at their own expense - and give them the ability to put their logos on the snack bars we send on the #JourneyToMars ? Keith's note: according to this NASA article "There's no commercially-available bar right now that meets our needs, so we've had to go design something that will work for the crew, while trying to achieve a multi-year shelf-life," said Takiyah Sirmons, a food scientist with the Advanced Food Technology team at NASA's Johnson Space Center in Houston." So I have asked NASA "Can you provide me with a copy of the specific NASA nutritional and storage requirements that you are using as the basis for developing the food bars mentioned in this article?" Let's see if they release this information or try and keep it secret and force me to file a FOIA request. By Keith Cowing on November 23, 2016 9:50 AM. "Coming soon are a greater number of more capable anti-missile interceptors and radars deployed around the globe - on land, at sea and possibly in space, say these legislators and experts, several of whom have consulted with President-elect Donald Trump's advisers. ...Trump's thoughts on missile defense and military space programs have gotten next to no attention, as compared to the president-elect's other defense proposals, such as growing the Army and building more warships. As a candidate, Trump said little on the subject." Keith's note: I'm sure that all of the experts mentioned in this article know how these systems work and are talking to people who talk to people who might talk to Trump's people. But at the present time there is no Trump space policy. So, at best, this is all semi-informed speculation. But, given other rhetoric associated with those lawmakers who will be asking questions at future hearings, it is not idle speculation to expect that more of a focus on overt weaponry in space may be on the horizon. By Keith Cowing on November 22, 2016 12:40 PM. "Stakeholders in the space launch industry are divided on the need to change the current insurance approach, in which insurance for spaceports is not required but can be negotiated through contracts between launch companies, which operate launch vehicles, and spaceport operators, which run spaceports. Stakeholders identified some positive aspects of the current insurance approach - for example, some said that negotiating contracts specific to each launch allows for greater flexibility. However, they also raised concerns, including a lack of certainty about coverage for potential damage." By Keith Cowing on November 21, 2016 8:34 PM. "President-elect Donald Trump and the Republican-controlled Congress are drawing up plans to take on the government bureaucracy they have long railed against, by eroding job protections and grinding down benefits that federal workers have received for a generation. Hiring freezes, an end to automatic raises, a green light to fire poor performers, a ban on union business on the government's dime and less generous pensions - these are the contours of the blueprint emerging under Republican control of Washington in January. These changes were once unthinkable to federal employees, their unions and their supporters in Congress. But Trump's election as an outsider promising to shake up a system he told voters is awash in "waste, fraud and abuse" has conservatives optimistic that they could do now what Republicans have been unable to do in the 133 years since the modern civil service was created." By Keith Cowing on November 21, 2016 7:13 PM. "This material is declared a work of the U.S. Government and is not subject to copyright protection in the United States. ... The team would like to thank NASA for organizational and institutional support in the exploration and analysis of the physics in this paper." Keith's note: Congratulations, Ellen! You have funded the development of a revolutionary (or so the authors would have you think) propulsion system. But will NASA issue a press release or provide a link to this paper? Of course not. You and the rest of NASA are too embarrassed to admit that you ever funded this nonsense. Too bad. Everyone at NASA is soooo nervous about what comes next - so some good old hype and dazzle to get the new Administration excited is called for, right? Just think of the new hashtag and buzz line for all of NASA's media releases #JourneyToTheStars - very Trump. "This doesn't mean that the Eagleworks EM drive definitely functions. Peer review is designed to make sure that studies are well designed and executed, and that the conclusions are reasonable - it's not an endorsement. And plenty of findings published in solid scientific papers have later been found to be incomplete or incorrect. That's how science is supposed to work: You draw conclusions based on the best evidence available, present them to your peers, and revise and refine as you conduct more tests and gather more data. The authors of the paper list nine possible sources of error in their experiment, and indicate that they need to do more tests to try to rule those out." By Keith Cowing on November 21, 2016 12:34 PM. "A senior NASA official has taken the extraordinary step of personally rejecting the claims of One Nation senator Malcolm Roberts that the agency had falsified key data to exaggerate warming in the Arctic. Gavin Schmidt, director of NASA's Goddard Institute for Space Studies, told Senator Roberts he was "mistaken" in his assertion that the US agency had "removed" Arctic data to mask warming in the 1940s." "Thank you for your letter of the 14th November requesting information about the NASA GISTEMP analysis of global surface temperature history. Much of what you ask for is available directly from our website. Links there will lead you to the entirety of the raw data we use, all of which is public domain, along with our analysis code, which is also public. However, you appear to hold a number of misconceptions which I am happy to clarify at this time. Firstly, in the graphs you show the data is quite clearly (and correctly) labelled as originating from GHCN." By Keith Cowing on November 21, 2016 11:09 AM. "NASA Administrator Charlie Bolden's perceived lack of enthusiastic support of the White House agenda gave an opening to the opposition. Without a willingness to take on these special interests, the administration made a Faustian bargain to secure congressional support for Earth sciences, technology and commercial crew, in exchange for support of developing a large expendable rocket (the Space Launch System or SLS) and deep space capsule (Orion) for human spaceflight. While these parochial interests still exist, a Trump White House has the opportunity to more effectively defend its own agenda. Former Speaker Newt Gingrich (R-Ga.), one the president-elect's most senior advisers, understands space issues and is a strong believer in commercial space development as the goal of space settlement. Former Congressman Robert Walker (R-Pa.) and former National Space Council executive director Mark Albrecht share many of Gingrich's views on the NASA bureaucracy and goals for NASA. Neither Albrecht nor Walker appear to be anxious to return to government service, but will certainly select a like-minded administrator." "Of the $1 trillion of "discretionary" spending, more than half is spent on national defense. Everything else the government does - scientific research, border control, education, environmental protection, federal judges, infrastructure, NASA - comes from this non-defense discretionary amount. This has also been targeted for wholesale cuts by the Trump campaign in order to help pay for their large tax cut. These cuts, along with the reinstitution of the sequester (across-the-board cuts to all federal agencies), would collapse non-defense discretionary spending to its lowest point in modern history. This budgetary scenario potentially spells doom for NASA and its ambitions. The congressional subcommittee responsible for NASA - Commerce, Justice, and Science - is also responsible for the NSF, NOAA, the FBI, the Justice Department, and Commerce Department, and the Census, among others." "President-elect Donald Trump's advisers say they want to rely more on commercial ventures to pioneer the space frontier - but some of those ventures' high-profile backers aren't exactly in line with other parts of Trump's policy agenda. For example, SpaceX's billionaire CEO, Elon Musk, sees climate change as the biggest challenge facing humanity on Earth and has said a tax on carbon emissions is as necessary as garbage collection fees. In contrast, Trump has said concerns about climate change are a hoax perpetrated by the Chinese, and has vowed to "cancel" U.S. participation in the recently established Paris climate pact. (The Chinese say they're trying to set Trump straight on that point.) Amazon billionaire Jeff Bezos, who founded Blue Origin to send passengers and payloads into space, is also the owner of The Washington Post. The Post, Amazon and Bezos were all caught up in Trump's ire during the campaign. On the flip side of the issue, there's at least one space billionaire who can hardly wait for Trump to get into office: Robert Bigelow, the founder of Bigelow Aerospace." By Keith Cowing on November 20, 2016 10:30 PM. "Astrophysicist Neil deGrasse Tyson says he wants to use an unusual greeting when he meets President-elect Donald Trump. "When I meet President Trump, I may first grab his crotch - to get his attention - then discuss Science with him," Tyson tweeted Friday afternoon." "As it were, though, the only thing Tyson is going to be grabbing is attention, since this provocative tweet is just another illustration that the scientist has become a victim of his own celebrity." Keith's note: Planetary Society CEO Bill Nye and Board member Neil deGrasse Tyson were frequent visitors to the Obama White House. Alas, it would seem that the Planetary Society's access to the White House is coming to an abrupt end - especially when a board member makes a crude comment such as this. Bill Nye was trying to get Trump to meet with him too just the other day. No more selfies with POTUS. By Keith Cowing on November 20, 2016 2:24 PM. "In the early 1990s, he and [Julia] Jones, a screenwriter, struck up a conversation in a restaurant and decided to try their hand at adapting Bannon's idea for a version of Shakespeare's "Titus Andronicus" set in space. That script went nowhere, but the two went on to work on dozens of film and television projects together." "Titus Andronicus is a tragedy by William Shakespeare, believed to have been written between 1588 and 1593, probably in collaboration with George Peele. It is thought to be Shakespeare's first tragedy, and is often seen as his attempt to emulate the violent and bloody revenge plays of his contemporaries, which were extremely popular with audiences throughout the 16th century." By Keith Cowing on November 18, 2016 4:54 PM. "As the new Administration continued to fill in open positions, the job of NASA Administrator seemed to get scant attention. One name had circulated with some frequency in late 2001: former New Mexico Senator and Astronaut Harrison "Jack" Schmitt. It wasn't so much that Schmitt was seen as an obvious answer as much as it was the fact that his name had been tossed into the round robin that the media tends to stir up at times such as this. 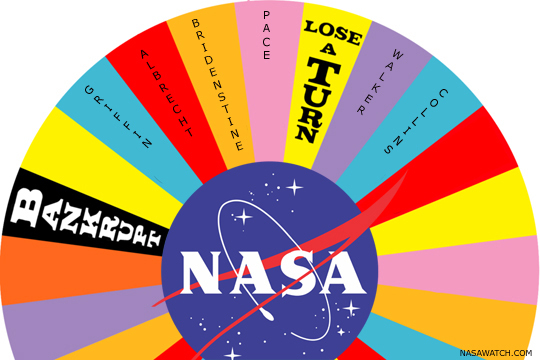 Continue reading NASA Administrator Names: Getting Stuck In The Rumor Mill. By Keith Cowing on November 18, 2016 3:07 PM. "Specifically, the document requests responses about: "Competing exploration services in the mid-2020s timeframe and beyond if the market demonstrates such services are available, reliable, and consistent with NASA architectural needs." Ars understands this to mean that if private competitors such as SpaceX, Blue Origin, United Launch Alliance, or other companies produce less expensive rockets and spacecraft within the next five to seven years, NASA will consider using them in lieu of SLS and Orion." "... Program officials are working toward an optimistic internal launch date of August 2021 for EM-2 - 20 months earlier than the Agency's external commitment date of April 2023. While we understand the desire to meet a more aggressive schedule, this approach has led the Program to defer addressing some technical tasks to later in the development cycle, which in turn could negatively affect cost, schedule, and safety." Keith's note: What is odd about this SLS RFI and the earlier one concerning Orion is the timing. NASA is releasing them at the very end of the Obama Administration - days after an election that will result in a certain amount of tumult - at a time when White House and NASA senior staff are either gone, leaving, or on travel so as to avoid being in their office. Usually NASA does document drops in this way in the hope that no one will notice. Add in the fact that the due date is just 2 days before Christmas and that responders will need to work over Thanksgiving Day weekend. Do you really think NASA is at all that serious about getting the best possible responses? Is NASA trying to squeeze its contractors ahead of a new administration that may pivot more toward private sector solutions? Is NASA trying to curry favor with a new administration in the hope that they will get budgetary relief to fix their problems? Or is NASA just plain embarrassed that they have to admit the obvious? There seems to be a pattern emerging. Just the other day Greg Williams from NASA HQ told a NASA Advisory Council subcommittee that NASA did not know what it would actually cost to send humans to Mars because they had only worked out the costs up to a cis-lunar mission. 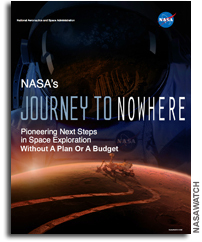 Seven years and NASA does not know how much #JourneyToMars will actually cost? Really? These RFIs could have easily been issued several years ago since they ask for commercial alternatives to SLS/Orion. Indeed, if anyone at NASA had bothered to read the Commercial Space Act of 1998, Title II - P.L. 105-303 (this is posted on NASA.gov) - specifically Title II (a) - they'd see that they should have been seeking commercial alternatives all along: "Except as otherwise provided in this section, the Federal Government shall acquire space transportation services from United States commercial providers whenever such services are required in the course of its activities. To the maximum extent practicable, the Federal Government shall plan missions to accommodate the space transportation services capabilities of United States commercial providers." Only now, after 7 years of delays, cost overruns, an inexplicably absent mission architecture, and false advertising via social media, does NASA admit that it may need to rethink how it is going to send humans to Mars. This has to be due to the fact that the whole plan (or lack thereof) is not going to work as "planned". Otherwise, why would NASA be asking for alternate ways of doing it? Is NASA Going #BackToTheMoon Or On A #JourneyToMars ? By Keith Cowing on November 18, 2016 10:49 AM. "Here's the key factoid: Because Congress preserved elements of Constellation, it could be revived under a new administration. NASA has the SLS and the Orion, and to get to the surface of the moon it would just need a lunar lander, maybe paid for, at least partially, by international partners. And NASA has already been talking about missions in orbit around the moon in the 2020s. The veterans who run human spaceflight at NASA put themselves in a good position to re-pivot to the moon if that became politically mandated." It's Time To Play "Guess The NASA Administrator"
By Keith Cowing on November 17, 2016 12:37 PM. "Probably the leading contender among the outsiders is a US Republican Representative from Oklahoma, Jim Bridenstine, who since being elected to Congress has quickly become a darling of the commercial space industry. ... Not only does [Scott] Pace presently work at a university in the nation's capital, he has also served George W. Bush on space policy and was 2012 Republican nominee Mitt Romney's chief space adviser." Keith's note: FWIW the rumors here in DC suggest that Mike Griffin is looking for a position in the defense sphere. Mark Albrecht says that he's not interested in going back to government, Bob Walker notes that his lobbyist stance makes him (probably) ineligible, and Eileen Collins annoyed the Trump people when she suddenly backed out of the endorsement that they thought they were going to get. If I were betting on horses it would be Bridenstine and Pace. Pace worked at NASA Headquarters for a number of years and has experience in the running of a large government agency with tens of thousands of employees and a multi-billion dollar budget. Bridenstine ran a small air & space museum and now has Potomac Fever and wants to stay in Washington when his self-imposed term limit expires. Pace is measured and deliberate with a deep understanding of space policy whereas Bridenstine is all fired up and motivated to enable change in the way that we explore and utilize space. It would be nice (for once) for a President to pick someone to run NASA with actual experience in running big things. 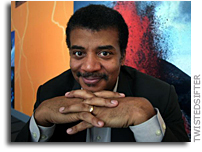 It would also be nice to have an energetic advocate for space promoting NASA's efforts to a broadening audience. Alas, as that song at Trump rallies often reminded us "you can't always get what you want". Stay tuned. By Keith Cowing on November 17, 2016 11:15 AM. "... Program officials are working toward an optimistic internal launch date of August 2021 for EM-2 - 20 months earlier than the Agency's external commitment date of April 2023. While we understand the desire to meet a more aggressive schedule, this approach has led the Program to defer addressing some technical tasks to later in the development cycle, which in turn could negatively affect cost, schedule, and safety. ... The size and scope of Kennedy's Engineering Contract has made managing the Contract particularly challenging. The cost and tasks included in the baseline and task order components are not clearly defined, managers overseeing the Contract may lack appropriate expertise, and cost allocations are not clear. In addition, several tasks Vencore is performing on a cost-reimbursable basis appear more suitable for a fixed-price arrangement." By Keith Cowing on November 16, 2016 10:30 PM. "As many of you know, we are ready to support the presidential transition activities. NASA has a team and a process in place to ensure a smooth transition of our agency. Tom Cremins, NASA Transition Official, and Jolene Meidinger, NASA Transition Coordinator, have been leading the NASA Transition Team (NTT) in their readiness to provide the incoming administration with the information it needs about NASA's important work. The President-Elect Transition Team (PETT) has indicated that NASA will not be receiving an Agency Review Team (ART) at this time. NASA, as all federal agencies, stands ready to support the PETT at a future date." "Election Day was eight days ago, but Donald Trump's transition team has yet to contact the Pentagon, State Department or other federal agencies. And a move to purge some transition advisers and employees has further slowed the process of getting the incoming administration off the blocks ... Trump's team will announce the first teams -- for the Justice Department and national security agencies -- Thursday, RNC spokesman Sean Spicer told reporters Wednesday night. Economic and domestic policy teams will be announced next week. But it was not immediately when those officials will actually arrive at agencies in Washington. The White House was still waiting Wednesday night on names from the transition of the individuals who will form the landing teams." Intrnl memo frm NASA AA Rbrt Lightfoot sez NASA's bn informed it will NOT be getting an Agency Review Team (transition team) "at this time"
Given the civil war within Trump transition team it would be pointless for anyone to lobby for the job of @NASA Administrator right now. By Keith Cowing on November 16, 2016 11:14 AM. "A major space publication, Space News, attested to his effectiveness saying, "One of Washington's most influential lobbyists" whose "stature and influence have only grown since leaving Congress." By Keith Cowing on November 15, 2016 9:35 AM. "And the Obama administration continued to push away partners, telling Europe to go to the Russians for its next robotic science mission. Plans for human missions to Martian orbit and a distant asteroid failed to find international partners. Mars in the 2030s is not a practical basis for managing a global space enterprise, and our partners are making separate plans. It is increasingly hard to hold the International Space Station partnership together when no one knows that is supposed to come next." By Keith Cowing on November 14, 2016 9:01 PM. "Sam had a love of aviation, which he carried throughout his life. He had an impressive Federal career with NASA, which began in 1981, where he held several positions, most notably Chief Technologist from 1996 until his retirement in October 2002. During a portion of that time, he also served as Associate Administrator for Aerospace Technology. While at NASA, Sam received several Presidential Rank Awards." By Keith Cowing on November 14, 2016 5:49 PM. 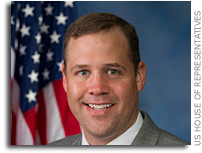 "Rep. Jim Bridenstine (R-Okla.), a former Navy pilot who is one of Congress's leading space exploration advocates, has had informal conversations with the Trump campaign about serving as NASA administrator or secretary of the Air Force, according to an official close to the congressman who is not authorized to speak publicly." 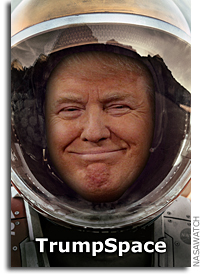 SLS To Mars: In Synch or Out Of Touch With Trump? By Keith Cowing on November 14, 2016 10:32 AM. "On the other hand, the Space Launch System (SLS) is the key to placing large blocks of payload into Earth orbit. An analogy here on Earth would be how intermodal shipping of supplies and manufactured goods is accomplished. Short haul is accomplished by trucks or rail, while long haul is accomplished by massive ships. In this same way, SLS accomplishes the short haul mission to orbit, whereas the cargo is transported over the much larger distance to Mars by solar electric transport ships. The two different propulsion systems, each of which is appropriate for its particular type of mission, are complementary. And to transport the astronauts, we add in a third element: the Orion multi-purpose crew vehicle as well as a deep-space habitat module, which together provide living space and life support systems." By Keith Cowing on November 13, 2016 5:57 PM. "Long before Stephen Bannon was CEO of Donald Trump's presidential campaign, he held a much different job - as the acting director of Biosphere 2, a $200 million scientific research facility in the mountains outside Tucson, Arizona. ... Bannon left Biosphere 2 after two years, and the project was taken over by Columbia University"
"... the science project, which started with eight people living in a closed habitat, disintegrated amid earthly squabbles, lawsuits and allegations of sexual harassment involving Stephen Bannon. The former Biosphere 2 consultant went from dreams of space colonization to courtroom drama after he was accused in separate court filings of threatening one female employee and harassing another." "After a successful turnaround by Bannon & Co. in December 1995 the Biosphere 2 owners transferred management to Columbia University of New York City which embarked on a successful eight-year run at the Biosphere 2 campus. Columbia ran Biosphere 2 as a research site and campus until 2003. Subsequently, management reverted to the owners." By Keith Cowing on November 12, 2016 12:19 PM. Keith's note: The election is over. Comments that do not relate to postings on this blog, comments that overtly go after Clinton or Trump on things un-related to the topic - or space, and all of the other political stuff that is showing in comments up will be deleted. Repeat offenders will be banned. I am no longer going to spend a lot of time warning people - I'll just decide on the spot. By Keith Cowing on November 11, 2016 12:44 PM. "A Gingrich/Walker aligned NASA leadership team would likely advance an agenda that increases support for entrepreneurial space and re-focuses NASA on the Moon as the next human destination. Neither are big supporters of spending billions of dollars on large, government programs, numerous programs would be reviewed for possible cancellation or adjustment such as SLS, Orion, ISS, Mars 2020 etc. A Griffin return would also likely refocus NASA's human exploration goals on the Moon, but would be more open to continuing SLS and Orion, at the expense of ISS. Either agenda would almost certainly include continuation of the commercial crew program." "Did you ever see what's going on with space, with Russia and different places? And us? We're, like, we're like watching. Isn't that nice? So much is learned from that, too. "A cornerstone of my policy is we will substantially expand public private partnerships to maximize the amount of investment and funding that is available for space exploration and development. This means launching and operating major space assets, right here, that employ thousands and spur innovation and fuel economic growth. "I will free NASA from the restriction of serving primarily as a logistics agency for low earth orbit activity. Big deal. "Instead we will refocus its mission on space exploration. Under a Trump administration, Florida and America will lead the way into the stars. With a victory in November, everything will change. Just think about what we can accomplish in 100 days." "NASA's core missions must be exploration and science - and inspirational! These are the fundamental underpinnings of a Trump civilian space program. NASA should be focused primarily on deep space activities rather than Earth-centric work that is better handled by other agencies. Human exploration of our entire solar system by the end of this century should be NASA's focus and goal. Developing the technologies to meet that goal would severely challenge our present knowledge base, but that should be a reason for exploration and science. Space station activities must also remain robust given their long delayed, but now functioning, research potential. However, the U.S., working with the international community, should seek new participants in its mission and look to transitioning the station to a quasi-public facility supported by international contributions and resupplied utilizing commercially available services." By Keith Cowing on November 10, 2016 6:09 PM. By Keith Cowing on November 10, 2016 12:51 PM. "NASA has initiated a process that raises questions about the future of its Orion spacecraft. So far, this procedural effort has flown largely under the radar, because it came in the form of a subtle Request for Information (RFI) that nominally seeks to extend NASA's contract to acquire future Orion vehicles after Exploration Mission-2, which likely will fly sometime between 2021 and 2023. Nevertheless, three sources familiar with the RFI, who agreed to speak on the condition of anonymity, told Ars there is more to the request than a simple extension for Orion's primary contractor, Lockheed Martin. Perhaps most radically, the RFI may even open the way for a competitor, such as Boeing or SpaceX, to substitute its own upgraded capsule for Orion in the mid-2020s." Keith's note: There are a number of off ramps developing whereby NASA could shed Orion - even SLS. Stay tuned. By Keith Cowing on November 9, 2016 5:21 PM. Keith's note: The Trump campaign was mostly caught by surprise by their win. While there was a formal Trump Transition Team operating, it had not gotten to the point of working details of who would visit each agency and what they would do once they arrived. If you check this chart you will see that NASA is currently not a priority for the Trump "Agency Action Team" structure. NASA is not even mentioned. Right now the bulk of the Trump Transition Team for NASA is headed by former Rep. Bob Walker and Mark Albrecht. Walker spent 20 years representing Pennsylvania in the House and served as chair of the House Science Committee. He also chaired the Commission on the Future of the United States Aerospace Industry and was a member of the President's Commission on Implementation of the United States Space Exploration Policy. Albrecht was Executive Secretary of the National Space Council between 1989-1992 and principal space advisor to President George H. W. Bush. Albrecht is currently chairman of the board of U.S. Space LLC. It is going to take Walker and Albrecht a while to get up to speed. Continue reading Installing Trump's Space Policy At NASA. By Keith Cowing on November 9, 2016 11:32 AM. "In times when there has been much news about all the things that divide our nation, there has been noticeable bipartisan support for this work, our work - support that not only reaches across the aisle, but across the public, private, academic and non-profit sectors. For this reason, I think we can all be confident that the new Trump Administration and future administrations after that will continue the visionary course on which President Barack Obama has set us, a course that all of you have made possible." By Keith Cowing on November 9, 2016 10:22 AM. "The local boy laughed, told the presidential candidate "yeah," and said: "I want to know your opinions on NASA." Trump wanted to make sure he correctly heard the question, turning to those around him to clarify if the boy was asking about the national space program or the North American Free Trade Agreement. A woman near the boy shouted: "Space!" "You know, in the old days, it was great," Trump told the boy, along with an audience of more than 600. "Right now, we have bigger problems - you understand that? We've got to fix our potholes. You know, we don't exactly have a lot of money." By Keith Cowing on November 9, 2016 6:45 AM. Keith's update: I would expect that former Rep. Bob Walker is working in the background on the transition plan for NASA. You will also hear names such as Mark Albrecht mentioned for Administrator. Scott Pace and Jim Muncy should also figure prominently in this transition. More to follow. By Keith Cowing on November 5, 2016 10:22 PM. "AGI's Commercial Space Operations Center (ComSpOC) is actively tracking China's Long March 5 launch, and the apparent two payloads entering orbit. This is, in part significant as press releases prior to the launch reportedly only registered one payload - the Shijian 17 experimental satellite. The characterization of the second object is still unknown, however COmSpOC has identified both objects making deliberate maneuvers. While these could be related to early orbit operations, the objects are in very unique and unusual orbits for typical operational spacecraft." The 5-tonne CZ-2F second stage rocket from the Shenzhou-11 launch reentered 2254UTC Nov 3 over Sudan. 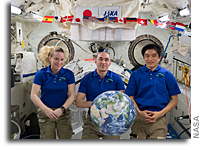 How Long Will ISS Remain Isolated From Terrestrial Politics? By Keith Cowing on November 4, 2016 11:49 PM. "U.S. military hackers have penetrated Russia's electric grid, telecommunications networks and the Kremlin's command systems, making them vulnerable to attack by secret American cyber weapons should the U.S. deem it necessary, according to a senior intelligence official and top-secret documents reviewed by NBC News." "Interestingly, every time the bad relationship between the U.S. and Russia gets worse there is no mention of altering U.S./Russian cooperation in space. Indeed, when U.S./China tensions are mentioned, you hear increased talk of cooperation between the U.S. and China in space. Oh wait: the Chinese are going to visit their new space station in a few weeks. Why is space seen as a venture that seemingly transcends terrestrial politics - indeed, one where peaceful collaboration regularly prevails over less desirable behavior? There is a precedent: Antarctica." Keith's note: How long is the ISS going to be able to remain an orbital, Antarctic-like, politics-free zone? The longer it manages to remain apart from terrestrial turmoils, the more space exploration speaks to a way to transcend such things. But there has to be a breaking point sooner or later. By Keith Cowing on November 4, 2016 10:18 PM. "There is a unanimous, and strong, feeling by the committee that scheduling the crew to be on board Dragon spacecraft prior to loading oxidizer into the rocket is contrary to booster safety criteria that has beenin place for over 50 years, both in this country and internationally. Historically, neither the crew nor any other personnel have ever been allowed in or near the booster during fueling. Only after the booster is folly fueled and stabilized are the few essential people allowed near it. Furthermore, in addition to the personnel risk, there is the risk of operating the engines outside their design input conditions. As an experienced "Prop" guy you know the problem here as well as anyone. Pump-fed chemical engines require a sufficient and consistent input pressure to reduce the likelihood of cavitation or unsteady flow operations. We are concerned that there may be insufficient precooling of the tank and plumbing with the current planned oxidizer fill scenario, and without recirculation there may be stratification of oxidizer temperature that will cause a variation in the input conditions to the oxidizer pump." By Keith Cowing on November 4, 2016 10:16 PM. Keith's note: I try and go out for a 4-5 mile walk daily in the early afternoon. Today it was cooler and windier than it was earlier this week so I grabbed a dark, long sleeve t-shirt at random. At one point three young boys - perhaps 8-9 years old approached me. I was talking on the phone so I was not really looking at them. Just as they passed me I heard one of them yell "NASA!!". How strange. After a second I realized that they had seen the small 1.5 inch diameter NASA logo on my t-shirt. I turned around and gave them a thumbs up - and one of the boys responded. You may recall that I posted a picture on Monday of a man holding his young son. I had spotted the telltale aft end of a Space Shuttle in the boy's hand from a distance. I learned from his Dad that he had just seen his first space shuttle at the Udvar Hazy facility a few miles away near Dulles airport. Both of these encounters happened within 20 feet of each other at the corner of Center Harbor Road and Wiehle Avenue in Reston, VA, a very short distance from Buzz Aldrin Elementary School, at almost the exact same time of day. Coincidence - or proof of NASA's pervasive brand recognition? Or is Buzz hiding in the bushes whispering things to people walking by? By Marc Boucher on November 4, 2016 10:13 PM. Now available is the November 2, 2016 NASA Future In-Space Operations (FISO) telecon material. The speakers was Brian Weeden (Secure World Foundation) who presented "A Primer on Public Policy, Why it's Important for Space Activities, and Current Hot Policy Topics." Note: The audio file and presentation are online and available to download. Marc's note: Some of the "Hot Topics" discussed included some of our favourites topics here at NASA Watch; The Asteroid Redirect Mission, go directly to Mars or back to the moon. Not much time was spent on these topics, but the presentation does provide a good overall introduction on how policy was shaped up to this point and what the next administration will face. By Keith Cowing on November 4, 2016 6:38 PM. Keith's 4 November update: In a recent meeting the new NASA MSFC QD34 CSO said that SLS Launch commit criteria aren't being tested with software. Sources report that upper management asked why. By Keith Cowing on November 3, 2016 8:43 PM. "Panelist Karen Freidt, creativity and innovation program manager at Langley, introduced herself and immediately asked audience members to stand up, spread their arms wide, slam them back together, then shout at the top of their lungs." Keith's note: So ... now there will be sanctioned shouting at NASA LaRC, I guess. Usually, when people start to shout at each other at work, less creativity is the net result. When I worked at NASA such behavior would have been called "harassment" - or at least "unprofessional". Oh yes, for some reason Karen's name tag says "Bob". The people who talk about "innovation" at NASA at these goofy, adult play-time events are rarely the people who actually innovate. When will this faux innovation stuff come to an end? NASA really needs to start taking itself much more seriously than fostering this internal feel-good nonsense. By Marc Boucher on November 3, 2016 9:52 AM. Now available is the October 26, 2016 NASA Future In-Space Operations (FISO) telecon material. The speaker was Peter Wegner (Spaceflight Industries) who discussed "The SmallSat Revolution: Your World Now!" "NASA will host a teleconference at 2:30 p.m. EST Monday, Nov. 7, to preview several Earth science missions using small satellites heading into space, starting this year, to help us better understand our home planet." "NASA has embraced the revolution in small spacecraft and satellites, from CubeSats you can hold in your hand to microsatellites the size of a small washing machine. The technology helps advance scientific and human exploration, reduces the cost of new missions, and expands access to space. The briefing will discuss NASA's overall program, technology development initiatives, and new Earth-observing missions that use individual and constellations of small satellites to study climate change, hurricanes and clouds." By Keith Cowing on November 2, 2016 2:03 PM. "This is truly one of the most difficult memos I have ever written to you. We have worked long and hard to develop capabilities for this Agency and for the federal government. These capabilities are truly needed. Some of our efforts started as early as 1970, but few are here today to talk about it - except for me, and that is what this memorandum is all about. I have come to the conclusion that after almost 57 years with the government it is time to retire. It has not been an easy decision. I have been thinking and rethinking my decision, and changing my mind for quite some time now. In the end, I decided to submit my papers and will retire on January 3, 2017." By Keith Cowing on November 2, 2016 1:49 PM. By Keith Cowing on November 2, 2016 12:18 PM. "NASA's Earth science portfolio adequately reflects stakeholder input, ESD's approach to developing the Architecture Plan was reasonable, and the Plan includes missions that address all six of the Agency's Earth science focus areas. However, due primarily to budget issues and the availability and affordability of launch vehicles, NASA has not carried out the Architecture Plan as intended and is increasingly reliant on an aging Earth observation infrastructure to monitor the planet. Specifically, although the Architecture Plan envisioned launching 17 missions by 2020, including 11 by the end of 2016, as of September 2016 the Agency had launched only 7 missions, and it is unlikely the others will launch on the schedule outlined in the Plan. Consequently, as missions are delayed the Architecture Plan has become increasingly outdated and includes missions that may become a lower priority for the science community. While the delays have not prevented NASA from substantially meeting stakeholder needs for Earth observation data, more than half the Agency's 16 operating missions have surpassed their designed lifespan and are increasingly prone to failures that could result in critical data loss and gaps in long-term observation records." By Keith Cowing on November 1, 2016 8:10 PM. "Take Maryland, whose senior senator, Barbara Mikulski, is retiring after 30 years in office. Mikulski is not only the highest-ranking Democrat on the powerful Senate Appropriations Committee, which formulates the Senate's spending bills. She's also the top Democrat on the Senate subcommittee that oversees funding for the NSF, NASA and the National Oceanic and Atmospheric Administration (NOAA), and has pushed to increase spending on science over the years. That interest is home-grown: NASA's Goddard Space Flight Center and several NOAA facilities, including the agency's satellite operations centre, are located in Maryland." By Keith Cowing on November 1, 2016 2:35 PM. "It was unanimous ... Everybody there, and particularly the people who had experience over the years, said nobody is ever near the pad when they fuel a booster," [Chair Tom] Stafford said, referring to an earlier briefing the group had about SpaceX's proposed fueling procedure. SpaceX needs NASA approval of its launch system before it can put astronauts into space. In an email to Reuters sent late Monday, SpaceX said its fueling system and launch processes will be re-evaluated pending the results of the accident investigation." Hey Let's Do An Innovation Day! By Keith Cowing on November 1, 2016 12:16 PM. New mantra at @NASA according to @DavaExplorer is now "Just say Yes" - "I want to make #NASA the Yes Zone"
By Keith Cowing on November 1, 2016 11:20 AM. "The National Aeronautics and Space Administration's (NASA) Human Exploration and Operations Mission Directorate (HEOMD) is seeking information on the availability of small payloads that could be delivered to the Moon as early as the 2017-2020 timeframe using U.S. commercial lunar cargo transportation service providers. Multiple U.S. companies are developing robotic lunar landing capabilities and have expressed plans to provide commercial cargo delivery services to the Moon in the near future. Information on lunar payloads that could be launched as early as 2017 would be valuable to NASA as it works to understand the potential role of the Moon in future exploration activities. Payloads of interest should address one or more of NASA's lunar exploration Strategic Knowledge Gaps (SKGs) or other agency strategic objectives." "Moon Express has announced a new program that will provide $1.5M in private funding for NASA-selected payloads to fly to the Moon. The announcement was made today at the annual meeting of NASA's Lunar Exploration Analysis Group (LEAG), in response to NASA's call for lunar instrument concepts that would be flown to the Moon utilizing commercial mission services. Under its Lunar Scout Program, Moon Express will provide up to $500,000 in funding for each instrument selected by NASA to fly aboard the company's first three commercial lunar missions of opportunity, beginning next year in 2017."